A webhook (also called a web callback or HTTP push API) is a way for an app to provide other applications with real-time information. A webhook delivers data to other applications as it happens, meaning you get data immediately. Unlike typical APIs where you would need to poll for data very frequently in order to get it real-time. This makes webhooks much more efficient for both provider and consumer. The only drawback to webhooks is the difficulty of initially setting them up. Webhooks deliver data to your application and may stop paying attention after making a request. This means if your application has an error your data may be lost. Many webhooks will pay attention to responses and re-send requests if your application errors out. If your application processed the request and still sent an error, there may be duplicate data in your app. Understand how your webhook provider deals with responses so you can prepare for the possibility of application errors. Additionally, you may want to check out our tool Reflector.io for help dealing with webhook errors and queuing. Webhooks can make a lot of requests. If your provider has a lot of events to tell you about, they may end up DDoSing your app. Make sure your application can handle the expected scale of your webhook. We made another tool, Loader.io, to help with that. SendGrid – We deliver event data and even parse emails through our webhooks. Twilio – Twilio both delivers and reacts to phone calls and text messages using webhooks. Github – Github updates applications about repositories and actions taken upon them through webhooks. Foursquare – Foursquare notifies applications when users checkin using their webhook. 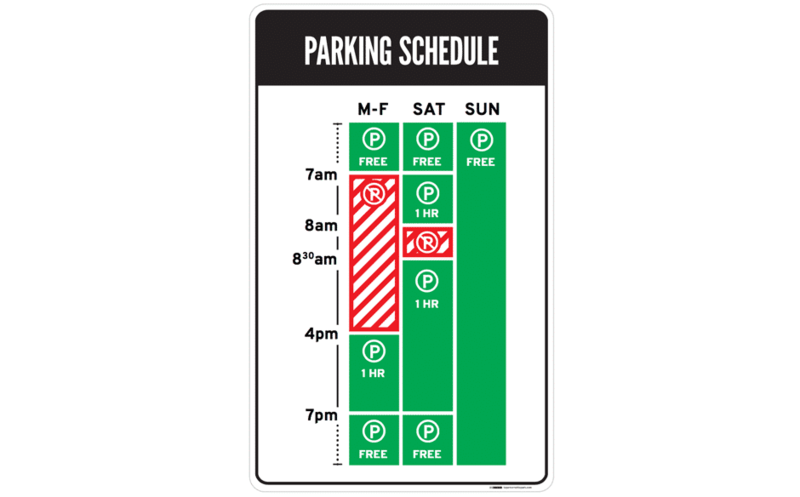 Parking signs in Los Angeles (LA) have been the epitome of information overload for decades. They’ve always been notoriously hard to understand, because the traffic rules are complex, resulting in the need to convey a lot of information in a small area. As LA parking signs go, this example is already a pretty simple one. Imagine you are a driver along this road on a Tuesday morning at 9 a.m. Can you park at this spot? What sounds like a simple question takes a lot of mental processing to answer. As designers, we’re often faced with situations where we have to design for a lot of information to be displayed in a small space. 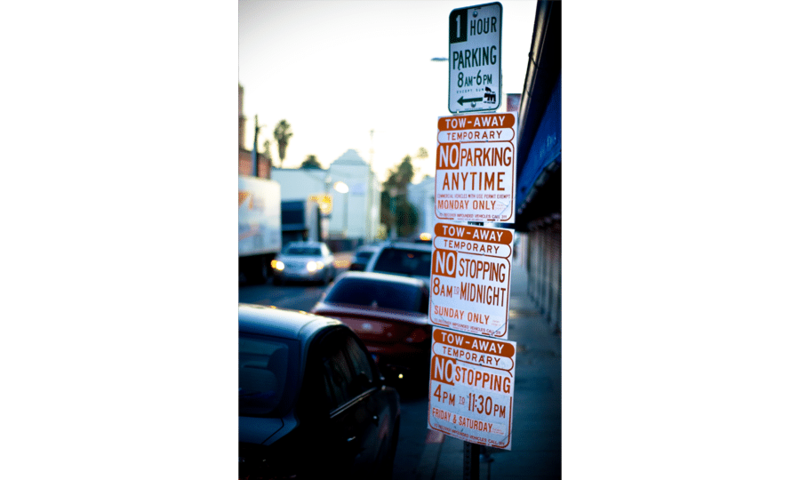 The parking signs in LA might be an extreme case, but many times designing for mobile apps means facing the same problems. Is there a way out—for both the parking signs and designers in general? Designing a sign to display all the information, while being easy to understand, sounds like an impossible task. But that’s exactly what Brooklyn designer Nikki Sylianteng did. Nikki’s proposed parking sign was eventually used in LA as part of a trial run. Part of why Nikki’s design1 works well is that it is user-centred: Nikki realised drivers simply want to know whether they can park at a spot. Yes or no—that’s all drivers needed, and that’s all the parking sign shows. Her design also made use of visuals, rather than text, to convey information. The result is incredibly intuitive: green for OK, red for No Parking. It’s even designed for the colour blind, with stripes for No Parking. Now when you look at the sign, you’ll know that on Tuesday at 9 a.m., parking is not allowed. The bars show what’s what at a glance—simple. Understand what your users need, then design based on that. This helps reduce information overload. Have lots of information to convey to your users? Try using visuals instead of text. Learn more about data visualisation here. 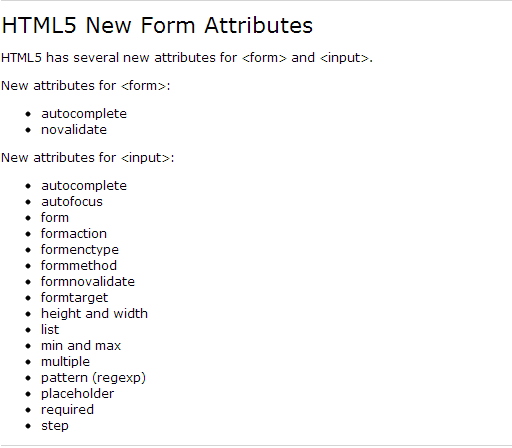 HTML5 has several new input types for forms. These new features allow better input control and validation. Java programmers can easily co-relate this with a multi threading concept. When web developers think of storing anything about the user, they immediately think of uploading to the server. 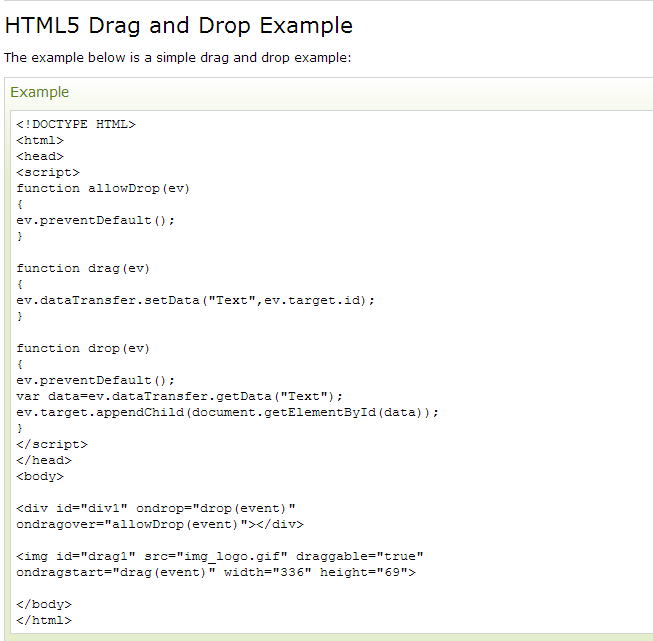 HTML5 changes that, as there are now several technologies allowing the app to save data on the client device. It might also be sync’d back to the server, or it might only ever stay on the client: that’s down to you, the developer. Earlier, this was done with cookies. However, Web Storage is more secure and faster. The data is not included with every server request, but used ONLY when asked for. It is also possible to store large amounts of data, without affecting the website’s performance. The data is stored in key/value pairs, and a web page can only access data stored by itself. There are several reasons to use client-side storage. First, you can make your app work when the user is offline, possibly sync’ing data back once the network is connected again. Second, it’s a performance booster; you can show a large corpus of data as soon as the user clicks on to your site, instead of waiting for it to download again. Third, it’s an easier programming model, with no server infrastructure required. Of course, the data is more vulnerable and the user can’t access it from multiple clients, so you should only use it for non-critical data, in particular cached versions of data that’s also “in the cloud”. It is important to know that there are two types of Web Storage objects:sessionStorage and localStorage. sessionStorage is only available within the browser tab or window session. It’s designed to store data in a single web page session. localStorage is kept even between browser sessions. This means data is still available when the browser is closed and reopened, and also instantly between tabs and windows. Web Storage data is, in both cases, not available between different browsers. For example, storage objects created in Firefox cannot be accessed in Internet Explorer, exactly like cookies. HTML5 introduces two mechanisms, similar to HTTP session cookies, for storing structured data on the client side and to overcome following drawbacks. Cookies are included with every HTTP request, thereby slowing down your web application by transmitting the same data. Cookies are included with every HTTP request, thereby sending data unencrypted over the internet. Cookies are limited to about 4 KB of data . Not enough to store required data. Storing sensitive data on local machine could be dangerous and could leave a security hole. The Session Storage Data would be deleted by the browsers immediately after the session gets terminated. To clear a local storage setting you would need to call localStorage.remove(‘key’); where ‘key’ is the key of the value you want to remove. If you want to clear all settings, you need to call localStorage.clear() method. what’s the difference between DIV class and DIV Id when it comes to css ? In general, use id whenever you want to refer to a specific element and class when you have a number of things that are all alike. For instance, common id elements are things like header,footer, sidebar. Common class elements are things like highlight or external-link. The text would be red because the id selector takes precedence over the class selector.